Seven Network. 2000+ x30mins. 1988. Creator: Alan Bateman. Producers:Alan Bateman, Bevan Lee. CD (ST) Mushroom. TVD93464 (RMD53464). 1996. (Two sleeve designs). Album compiled by Ann-Marie Meadows and Paul Costello. Christine Anu, Hunters & Collectors and Pop! appear courtesy of White Records. Archie Roach and Wilson Diesel appear courtesy of Aurora Records. Dreamworld appear courtesy of The Echo Label Ltd. Alex Party appear courtesy of DanceNet. Heather Nova appears courtesy of Big Life Records. Edwyn Collins appears courtesy of Hi Gloss records. 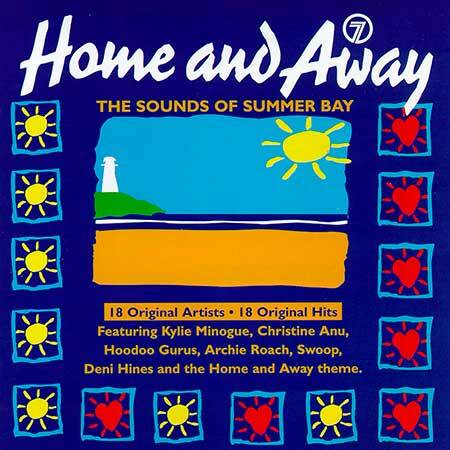 Home And Away (Theme From The Seven Network Television Series). (Mike Perjanik). (Control). Apple Eyes. (Hewetson/Kapferer/Ta'akimoeaka/Beagley). (Mushroom). v: Swoop. Party. (C. Anu/D. Bridie). (Mushroom). v: Christine Anu. Waking Up Tired. (B. Shepherd/D. Faulkner). (EMI Music Publishing). v: Hoodoo Gurus. Throw Your Arms Around Me. (Lyrics: Mark Seymour, Music: Hunters & Collectors). (Human Frailty/Mushroom Music). v: Hunters & Collectors. A Girl Like You. (Edwyn Collins). (Mushroom Music). v: Edwyn Collins. Imagination. (Rachel Oden/Alex Richbourg/Andre Robinson). (Warner Chappell/EMI Music/Control). v: Deni Hines. Dangerous Game. (Anderson/Seaman). (BMG/MCA). v: Kylie Minogue. Sexuality. (V. Deltito/A. Dale/M. Stevens). (Lotus Music/Two/Polygram). (Rap written by by Past To Present (APO Music). v: Past To Present. Wrap Me Up. (Visnadi/R. Campbell). (MCA Music). v: Alex Party. Movin' Up. (Erlandsson/Lenander/Morel/Kreuger/Magnusson). (Chrysalis/Mushroom/BMG Music/Control). v: Dreamworld. Tingly. (T. Scott/J. Richards). (Mushroom Music). v: Pop! (Featuring Angie Hart). Change. (M. Jolly/A. Jolly/B. Harris). (MCA Music). v: Kate Ceberano. We've Started A Fire. (Paul Kelly). (Mushroom Music). v: Vika and Linda. Slave. (M. Spiby). (Mushroom Music). v: The Badloves. I Can't Stand The Rain. (Bryant/Peebles/Miller). (Warner Chappell). v: Wilson Diesel. There Is A Garden. (Archie Roach). (Mushroom Music). v: Archie Roach. Walk This World. (Heather Nova). (Mushroom Music). v: Heather Nova. CD (ST) Mushroom. MUSH332682. 2000. 01. 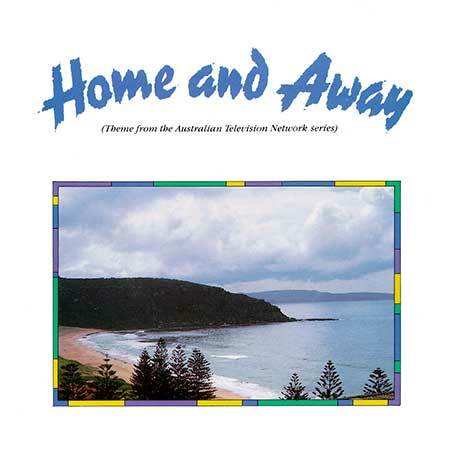 Home and Away Theme. The Robertson Brothers. 02. True Romantic. Kate Ceberano. 03. Did It Again. Kylie Minoque. 04. Girls Like That (Don't Go For Guys Like Us). Custard. 06. When I Grow Up. Garbage. 07. Spin The Wheel. The Blackeyed Susans. 08. Big As Yer Like. Pound System. 10. Sing It Back. Melaka. 11. Not Like You. Loki. 12. Even When I'm Sleeping. Leonardo's Bride. 13. Got Sold On Heaven. Snout. 14. Theophilus Thistler .. An Exercise In Vowels. Sonic Animation. 15. 9 PM (Till I Come). ATB. 16. Hallways. Something For Kate. 18. Run Baby Run. Deadstar. 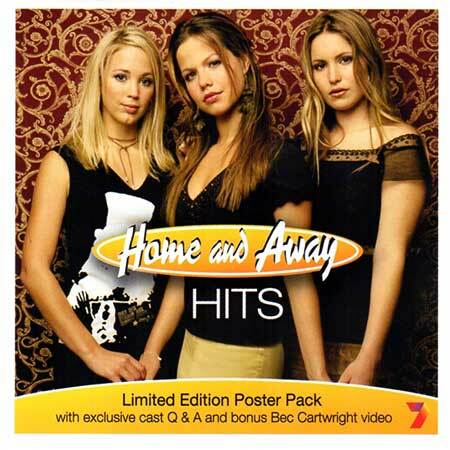 HOME AND AWAY HITS. Liberation. LIBCD4054.2. 2002. 01. Creepin' Up Slowly. Taxiride. 02. Here Comes September. Waikiki. 03. Beautiful. Disco Montego (featuring Katie Underwood). 04. All I Want is You. Rockmelons (featuring Jeremy). 05. All Seats Taken. Bec Cartwright. 06. Brand New Day. Wicked Beat Sound System. 07. Come On Now. Natalie Dunn. 08. Get Back in the Groove. Scott Cain. 11. Good in My Head. Anika Moa. 12. Fall For You. The Whitlams. 13. Know Me. Another Race. 14. Letter of Love. Jackie Bristow. 15. No Sky is Blue. Emmanuel Carella. CD (OP) Liberation. LIBCD5087.5. 2003. 01: Hey Girl. Butterfly 9. 02:	Own Way Home. Motor Ace. 03: Don't Say a Word (Tim Palmers La Rock Mix). Emmanuel Carella. 05: Dancehall Girl. Salmonella Dub. 06: A Matter of Time Remix. Bec Cartright. 07: Danger (Radio Mix). Katie Underwood. 08: My Life. The Tulips. 10: The Criminal Lovers. Mandy Kane. 11: Close to You. Origene. 12: A Year and Three Weeks. Natalie Dunn. 13: Get Away with it. Mobin Master Project featuring Karina Chevez. 14: Don't Wanna Loose This Feeling. Dannii Minogue. 16: More Than That. Katie G.
17: Tijuana Dreamin. Dom Mariani and The Majestic Kelp. CD(t) (AD) (See COMPILATIONS - TOP TV SOAP THEMES: Tk6).